We can help you to get cost effective, high quality, rigid election campaign signs printed quickly and with no stress. We recommend correx boards printed full colour and direct to substrate saving you time and money without compromising the very important quality. We have printed thousands of election signs for all major political parties for general elections as well as local elections. Simply call or email us with the quantity and size of your boards and we will give you the best possible prices and best possible lead time. Tell us about your deadline and we will tell you if we can print it faster for you normally with no extra cost involved. Correx boards can be left on display to maintain exposure without your prints being wiped out by bad weather. Whether they are fitted on lamp posts, building walls or fences, correx boards are always better than a normal paper posters. 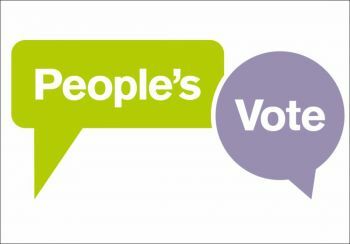 Our correx boards (corrugated plastic) are waterproof and printed with none fade UV cured inks making them ideal for printing election campaign signs. We know that a quick turnaround is essential when it comes to political campaigns. Time is running fast and the sooner your election boards are up on the streets the better, this is why we do our absolute best to work with you to meet your deadlines. When the speed of printing for your election signs matters please speak to us and let us know your deadline. We often go the extra mile for our clients and if it is physically possible we will do that for you, printing your election campaign signs faster than normal! Make sure you let us know how fast you need your signage when you email or call us. To speed up the process, don’t forget to put the size and quantity as well as your delivery details in the email. At Carrick Signs we will always go the extra mile to help support the things that are important to you. 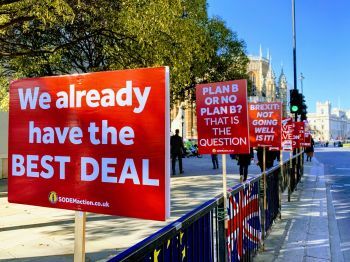 We also recommend placards with sticks which may prove more practical than standard rectangular boards in cases when the boards are needed for a more active political event. These boards can be held by supporters or protesters with placards standing out from the crowd. 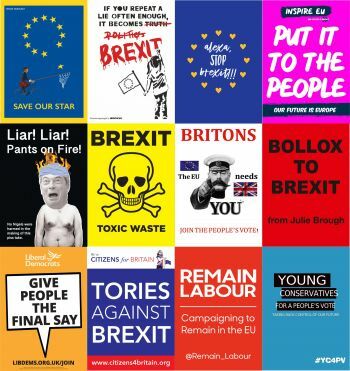 If you need placards for your political campaign please visit our dedicated placard printing page for more details and prices. Custom placard sizes and shapes available, please email or call for price. Please note: A3 and A2 placards are provided with short sticks. A1 and larger sizes are supplied with long sticks as standard (unless requested and quoted otherwise in your individual quotation). Placards with short sticks are designed to be hand held while the larger and heavier placards come with long sticks to allow support on the ground. How much does signage for nationwide election campaign cost? As always, it depends. However to give some numbers and simplifying political party needs to one type and size street advertising board we can calculate some total numbers. Having 83 counties in England and assuming a need for 200x A2 boards per county we get 16600 A2 corex boards digitally printed full colour, high quality. Quotation for the quantity would be about £1.95 so total cost would come to £32,370+vat for advertising campaign with as many as 200 A2 boards in each county in England. Using A3 boards and quantities of 100 per each county it could be as cheap as £1.30 x 8300 = £11,620+vat.